The sound in the video is set to “OFF” by default. If you are in an environment where you can listen to the video as well as watch it, we recommend that you click the sound button and enjoy the video enhanced by sound! with your smartphone’s internal camera. Illuminate the barcode you want to scan with the laser pointer. your work becomes more efficient! and holds its own against dedicated terminals! Work goes smoothly now that looking at the screen is unnecessary.  Implement a barcode reader at an ultra-low cost! 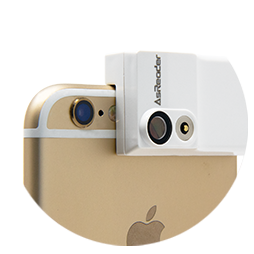 Please try our demo-app AsCamera. Please install it on your smartphone. 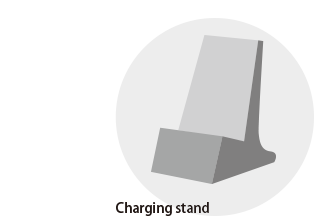 We sell accessories for the AsReader® CAMERA-Type. If you have any accessories you’d like to purchase, please let us know. *The image above is just an image. It may differ from the actual products in certain details like shape or color. 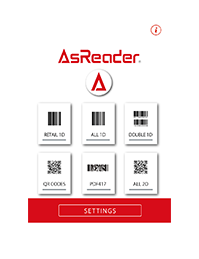 In order to actually use the AsReader® CAMERA-Type, you need to purchase a licence. Please purchase and download our special “Licensed app” from the app store on the device you wish to use the developed app on, such as an iPhone® etc. When you complete the activation of the downloaded licensed app, you can then use the developed app on (only) that device. 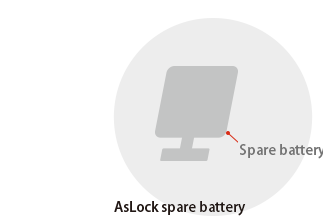 In that case, the charges will be billed to the Apple account. *The laser pointer module is optional. Download the “Licensed app” from the AppStore. First, install the “Licensed app for Biz” on your smartphone. After you sign a contract with us and we receive the information that the licencing was successful, you will be able to use the app on that smartphone. When signing up for a contract with us, please inform us of how many devices you will require. For details, please contact our sales department or representative office. 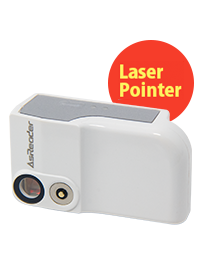 *We rent out the laser module free of charge. *This licence is meant for businesses and cannot be contracted for individuals. Download the “Licensed app for Biz” from the AppStore. Download the “AsLicense” from the Google Play. 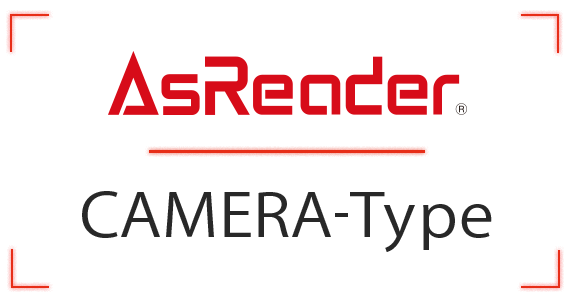 We provide the SDK (Software Development Kit) for the AsReader® CAMERA-Type free of charge. 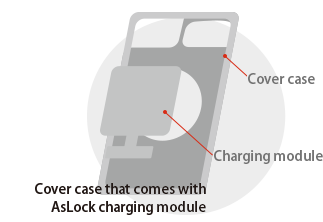 With this SDK, you can use the functions that are installed in the AsCamera as well as develop original and customised applications. Furthermore, you can integrate all this into your company’s system or have it cooperate with specific hardware. 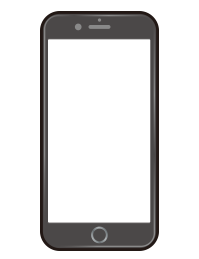 ※When using developed apps on your smartphone, a registered licence is required. For details, please see the “Regarding the licence”-section above. Develop software to suit the circumstances! You can also develop software that uses the CAMERA-Type. If you have any requests that fall outside the above, please don’t hesitate to get in touch and we’ll see what we can arrange!